Loads of decent items in their clearance section. Lots of really good Star Wars toys. Also I think it is worth saying that the staff own this company so if you want the profit to go to staff rather than some Billionaire sat in Monaco then this is another reason to use JL. That said, this is a money saving site and for that reason alone I think this is a great clearance deal. Yes each year the profit gets divided up and paid to each employee. This year they limited it to a smaller bonus to invest in the company. I don't work there by the way - but it's an ethical company and this is important to me. That's precisely the way they prefer it to be. Most people assume it means what it says. It doesn't! well when I heard it I was thinking about it and thought doesn't that mean they will always oversell you things ie not work for the customer but for the company? then i thought well maybe I just don't understand it. It means that if they know another retailer is underselling them (selling the same item at a lower price) they'll lower their own prices to match that other retailer. Except that in reality they don't operate the policy. They'll sometimes match prices for an individual purchaser, subject to stringent terms and conditions, but even when they do that they rarely lower the price for other customers - even though they're knowingly being undersold. Occasionally they'll make a big thing about matching another retailer's prices, but only with certain retailers, and never on the really competitive ones. All a big con, but people believe the hype because it's John Lewis and people find it difficult to believe that they can lie through their teeth. Would the Falcon be any good as a display item and not a toy or does it look plAsticy if your know what I mean, it's for my mancave. You what? JL board members are leeching the place dry..
What did you buy him if you don't mind me asking? I have successfully price matched with John Lewis numerous times. And did John Lewis then reduce the price on the shelf for all other customers? That's what Never Knowingly Undersold means - and that's what they rarely ever do. I love John Lewis. Never had any problems with them. All staff are very helpful and so is customer service. Price match works great and rarely has not worked. So all in all a gem of a company to be honest in today's competitive market. John Lewis lost me as a customer when they started refusing to honour price match. They're really little wiggly worms and can fall off the face of the high street for all I care. They're not perfect - but name somewhere better! At least they are British and pay their taxes - unlike numerous US companies in the UK. Own brand stuff (therefore no direct competition) can be ridiculously expensive though. Not a shop I want to go to personally, my mrs likes to shop in JL thinking their prices are higher so quality must be higher, probably. Never had enough staff to serve customers, or when we can find one, she is not in charge of that part or she's not the best person to help or she's dealing with something else or just take a card or whatever and go to the counter that we were told many times when there's no card or no one can help at the counter, if we give the same service in NHS like they do in JL, it be all over the news saying how appalling our services are, we go JL at least on a weekly basis just because of my Mrs likes it, not for me. 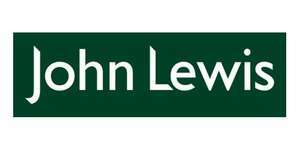 Use John Lewis often simply because they are the cheapest with a 2 year warranty which is honoured with no fuss. Price match is always honoured too, they just check online the place with the lower price and then give you the same price with the extra warranty. I've never understood why some people think JL is an expensive shop. The fact that compared to most other retailers they are more ethical and distribute bonuses is a plus. John Lewis are good but I've never found anything in their sales that's worth buying. What are you going on about ????. "Undersold" means that someone else is selling the same thing for less money (So if Esso were selling petrol at £1 a litre, and Tesco came along and started selling it for 98p, then Tesco have undersold Esso or to put it another way Esso are being undersold). So, "never knowingly undersold" means that they will never sell anything for a price that they know is higher than someone else is selling at. Use John Lewis often simply because they are the cheapest with a 2 year … Use John Lewis often simply because they are the cheapest with a 2 year warranty which is honoured with no fuss. Price match is always honoured too, they just check online the place with the lower price and then give you the same price with the extra warranty. I've never understood why some people think JL is an expensive shop.The fact that compared to most other retailers they are more ethical and distribute bonuses is a plus. Was in the Sheffield store yesterday when sorting a tv out and was talking to the sales guy and said you know Richer sounds have started doing 6 year warranty's now free like your 5 year one and his reply was its to **** them off lol . Yes each year the profit gets divided up and paid to each employee. This … Yes each year the profit gets divided up and paid to each employee. This year they limited it to a smaller bonus to invest in the company. I don't work there by the way - but it's an ethical company and this is important to me. You know they buy products from illegal Israeli settlements right ? It's really nice they give some of the profits to their employees but ethical? because of just that ? no. I guess my whole point was I didn't really understand what undersold meant and was trying to figure it out when I first heard it but it hurt my head too much as it didn't make any sense to me so in the end I just thought oh well just another slogan that makes the company the place to shop for quality. As I was thinking of the words under sell and thought well if someone under sells you something they would be doing you the customer a favour by selling it to you cheap ha ha. Therefore if that was the case then there mission would be to con you. Anyway it's been a good learning curve. Was in the Sheffield store yesterday when sorting a tv out and was … Was in the Sheffield store yesterday when sorting a tv out and was talking to the sales guy and said you know Richer sounds have started doing 6 year warranty's now free like your 5 year one and his reply was its to **** them off lol . Richer sounds are great. They have always stepped up when I've had any issues with my electricals. One positive thing about JL's NKU is often missed - it's applicable 28 days after purchase too. Richer sounds are great. They have always stepped up when I've had any … Richer sounds are great. They have always stepped up when I've had any issues with my electricals. Agreed - better prices, better warranties, better product knowledge, and infinitely better customer service than John Lewis. I find it difficult to forget the response from the manager of the John Lewis TV/Radio department in Oxford Street when I asked for some information about a very expensive piece of equipment - you'll need to contact the manufacturer! If you put 'Star Wars' & 'LEGO' in the title, tags and description, you will get lots of hits for no reason... oh, you did. Agreed - better prices, better warranties, better product knowledge, and … Agreed - better prices, better warranties, better product knowledge, and infinitely better customer service than John Lewis. I find it difficult to forget the response from the manager of the John Lewis TV/Radio department in Oxford Street when I asked for some information about a very expensive piece of equipment - you'll need to contact the manufacturer! Harsh, Newbold. At least you did not get a response full of BS and in any case, good as they are, Richer Sounds specialise in a niche market which John Lewis do not. Not a shop I want to go to personally, my mrs likes to shop in JL … Not a shop I want to go to personally, my mrs likes to shop in JL thinking their prices are higher so quality must be higher, probably. Never had enough staff to serve customers, or when we can find one, she is not in charge of that part or she's not the best person to help or she's dealing with something else or just take a card or whatever and go to the counter that we were told many times when there's no card or no one can help at the counter, if we give the same service in NHS like they do in JL, it be all over the news saying how appalling our services are, we go JL at least on a weekly basis just because of my Mrs likes it, not for me. Sounds like you have bigger issues than JL mate. They're not perfect - but name somewhere better!At least they are British … They're not perfect - but name somewhere better!At least they are British and pay their taxes - unlike numerous US companies in the UK.Own brand stuff (therefore no direct competition) can be ridiculously expensive though. I think these Trustpilot scores just about sum up the difference between John Lewis and Richer Sounds - anybody buying TV/Radio/HiFi would be mad to shop at John Lewis. If ever there were a company living on its past reputation, John Lewis is it - but my guess is they'll get their payback in due course once people realise how bad they now are. Woolworth, Comet and BHS all learned the hard way. Heat from me, I ordered the Millenium Falcon toy - best price by far I could find it for, including eBay. Thanks OP! And did John Lewis then reduce the price on the shelf for all other … And did John Lewis then reduce the price on the shelf for all other customers? That's what Never Knowingly Undersold means - and that's what they rarely ever do. Jl staff have always been very helpful to me and have always dealt with any faults / problems quickly and efficiently unlike other major retailers.